Is Anyone Political Any More? Canadian Theatre Review, Edited by Kim Renders, Julie Salverson and Jenn Stephenson, Fall 2011. The Worst Thing, Report from Nightswimming Pure Research Project, in Out Of Place #2, Jumblies Press 2012, click here to order, or contact Jumblies for full report. Out of the Tunnel There Came Tea, Chapter in VIVA! Community Arts and Popular Education in the Americas, SUNY Press and Between the Lines, edited by Deb Barndt, 2011 – For more info. go to: www.yorku.ca/cap. 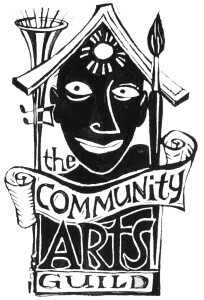 Dispatch on the Community Arts Guild, Jumblies’ Scarborough Residency, AltTheatre, Fall 2011. The Cultural Equivalent of Daycare Workers? in Critical Perspectives on Canadian Theatre in English, Vol.19: Community Engaged Theatre and Performance , Editor Julie Salverson, General Editor Ric Knowles, Playwrights Canada Press, 2011. Placemats for September 11th, in Critical Perspectives on Canadian Theatre in English, Vol.17: Political Popular Theatre, Editor Julie Salverson, General Editor Ric Knowles, Playwrights Canada Press, 2010. The Cultural Equivalent of Daycare Workers? 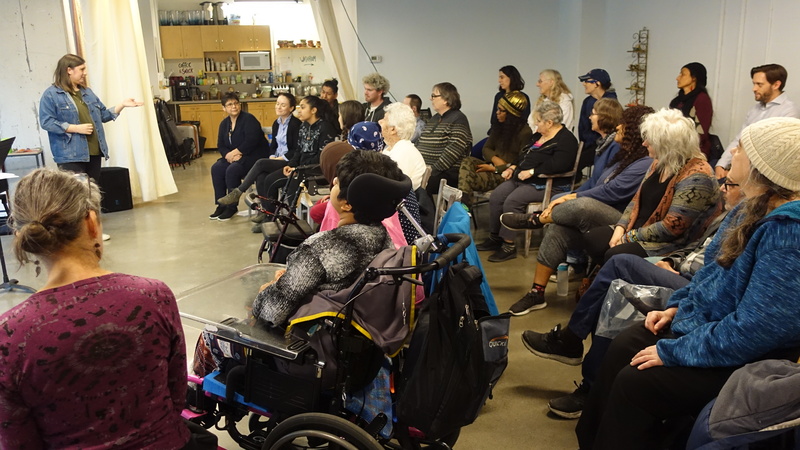 (Click Here for PDF) reflections on the Arts For All project at Davenport Perth Neighbourhood Centre, Toronto, web publication by Dale Hamilton on Dramatic Action: Community Engaged Theatre in Canada & Beyond, 2005. Easy to Say: (Click here for the full article) co-written with Rachael Van Fossen, for Off-The-Radar, web publication by the Canada Council for the Arts Interarts Section, 2005.
Letters from a Middle-Aged Artist (Click here for PDF), Urban Arts Newsletter, 2004. Placemats, paper for the “Learneds”, University of Toronto, panel moderated by Julie Salverson, 2002. The Aesthetics of Including Everyone, Alt. Theatre, 2002. Section on Design, Study Guide for Boom, by Julie Salverson, published by Canadian Red Cross, 2000. Holding On and Letting Go, Canadian Theatre Review, 1997. Please contact ruth@jumbliestheatre.org if seeking any of these publications. Everyone Is Welcome , by Tim Chapman, Theatre Ontario News, February/March 2009. The Art of being a neighbour, by Leah Sandals, Spacing Magazine, Spring 2009. Report on the November 2009 Vancouver Downtown Eastside Arts4All Institute, by Will Weigler, produced by Vancouver Moving Theatre, 2009. 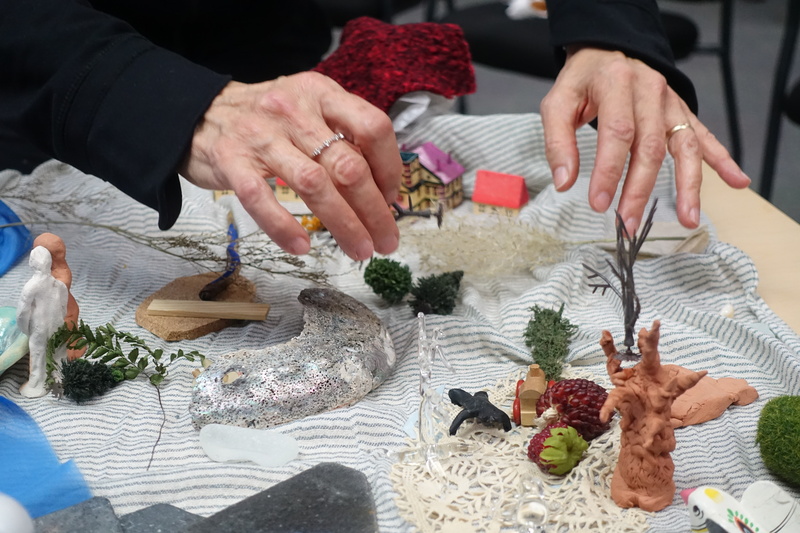 New Conversations, by Rachael Van Fossen, A report on the New Directions Community Play Symposium, Vancouver, April 2008. Touching Minds and Hearts: Community Arts as Collaborative Research, by Deborah Barndt, published in Handbook of the Arts in Qualitative Research; Perspectives, Methodologies, Examples, and Issues,Edited by in G. Knowles and A. Cole, 2007. The River of Radical Imagination; Community Arts and the promise of integrative feminist values, by Leah Houston, unpublished masters thesis, Ontario Institute for Studies in Education, 2007. Building Inclusive Communities: Case Study about Jumblies’ Once A Shoreline, by Rob Howarth, Toronto Neighbourhood Centres, 2005. Issue #1 Spring 2010, Issue #2 Spring 2010. And Then She Said, Saa Waxay Tiri: The Poetry and Times of Hawa Jibril , edited and translated by Faduma Ahmed Alim, Jumblies Press, 2008. Complimentary Colours, by Ruth Howard, presentation given at a Toronto Arts Council & Foundation Community Arts Conference, 2006.